JEANI: It is a pleasure to have you here. Most people know you as the author of such sci-fi greats as The Postman (my personal favorite), The Life Eaters, and The Uplift Series, among many others. But you are also a scientist specializing in astrophysics. How does that background influence your writing? DAVID: Writing wasn’t my own first choice of a career. True, I came from a family of writers. It was in my blood. But I wanted something else—to be a scientist. And by the fates, I became one. I also had this hobby though—writing stories—and it provided a lot of satisfaction. I always figured that I'd scribble a few stories a year...maybe a novel now and then...while striving to become the best researcher and teacher I could be. Don’t mistake this for modesty! It's just that I perceive science—the disciplined pursuit of truth—to be a higher calling than spinning imaginative tales, no matter how vivid, innovative, or even deeply moving those tales may turn out to be. JEANI: Your writings often touch on the impact technology has on humanity and how it might change the future of our every-day lives. Would you care to elaborate on that? DAVID: Technology might change the future of our everyday lives…a lot! Oh, all right. Let me ask you (and the reader) this: have you ever flown through the sky? Or walked into a dark room and made light happen, with the flick of your fingertip? These were exactly the powers of gods! So why don’t you feel like one? Because we gave these powers to freaking-everybody, that’s why. The moon landings seemed less marvelous because we all shared it. The fantastic images that our space probes have taken of solar system glories would seem magical and almost religiously marvelous if you and I had to sneak into the palace to view them, or must crack open a wizard’s secret grimoire. Take the palantir from Lord of the Rings, a crystal window on Gandalf’s desk with which he can explore ideas, gather information, communicate instantly across great distances…there are only three differences between that and your laptop. (1) the wizards and $%$$! Elfs kept that wonderful thing for themselves, (2) the result was calamity and horrible war and near-loss of everything, and (3) it sure makes a romantic story, captivating millions. The shorter answer? Hell yes. Get ready to be even more godlike! If we’re lucky, it will be shared with everybody and so you won’t notice! But we’ll be wise. JEANI: You are a member of the “SETI Protocols Working Group of the International Academy of Astronautics.” What are your thoughts about SETI and the chances of finding extra-terrestrial life? JEANI: Certainly there must be bacteria and the like existing on other planets. But you have written not only about oxygen-breathing creatures, but also hydrogen-breathers. 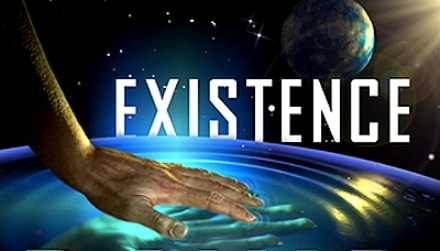 If you believe there could be life on other planets, in what forms do you imagine they could be? DAVID: With Kevin Lenagh, I collated the wild diversity of life forms in my Uplift Universe and then doubled the number, illustrating them in Contacting Aliens. What fun to be paid to do this! And yes, I look at the boundaries of what people claim to be the definitions of life and intelligence. Boundaries are made to be pushed back, or shattered! 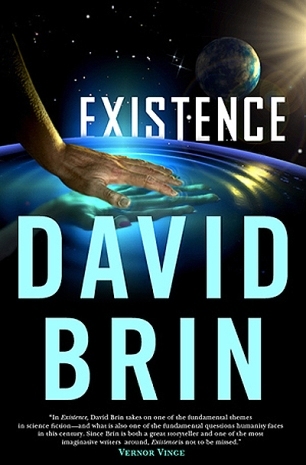 DAVID: In my story “Fortitude” I explore the possibility that the “Pre-Cambrian Explosion” of multi-cellular life on Earth—a rather sudden event—might have come from a visiting spacecraft dumping their toilet…. JEANI: Time-travel themes are the structure for popular plots in many sci-fi books. Einstein’s theories of special and general relativity suggest methods for one-way travel into the future via time dilation, but these theories do not allow time-travel into the past. What are your thoughts about the possibility of some sort of time-travel development by future technology? DAVID: Argh! A sore point. I have started five time travel stories. Great premises and characters! Can’t finish em. The logical side of my brain won’t cooperate! JEANI: You are also the writer of non-fiction. 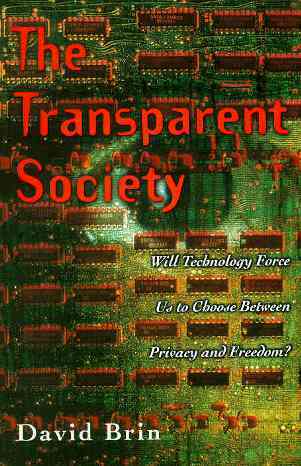 Your book The Transparent Society: Will Technology Force Us to Choose Between Privacy and Freedom? deals with contemporary controversies. Do you limit this to governments or do you feel this subject is also an issue with social media sites? DAVID: It’s proved to be an infernally hard set of concepts to get across! Across 6000 years, every human society failed because of the same set of failure modes. Human delusion and cheating, generally by those who had power, wanting to game the system so they could have more. Only the recent Western Enlightenment found a way around this persistent calamity—called “reciprocal accountability” (RA). You and I can fool ourselves, but others can catch our mistakes as we catch theirs, in an open market of ideas. JEANI: Now you know I just have to ask this question: Of all the books you have written, what is your personal favorite and why? DAVID: Which of your children is your favorite? It is like that! Glory Season is my brave, indomitable daughter. The Postman is my courageous, civilization-saving son. Earth is the child who combined science and nature to become a planet. The Uplift War…well, I never had a better character than Fiben the Chimp! JEANI: Here is where I am going to change the focus of this interview towards my readers, many who are just beginning their journey as writers. They are always seeking advice from successful authors. Can you offer advice from your own experiences as to how a struggling writer can get his/her start to break into the industry? JEANI: Do you recommend finding a literary agent, and if so, how can an unknown writer accomplish that? DAVID: Just perfect and hone your craft. Write really, really well. Take and seek criticism to improve. LOVE the process and don’t hurry it. Sell a novel…that’s when an agent will talk to you. After selling your first novel yourself. Sorry. It is how the world works. JEANI: You have been quoted (in an interview with Orbit) as saying: “I always recommend that aspiring novelists begin with a mystery, before moving on to their favorite genre. It trains you to play fair with the reader.” Would you care to add to that advice? DAVID: All other genres let you distract yourself and the reader from the story plot, itself. Romance writers throw in passion to cover up the failure of suspense. Sci Fi authors spice in some tech and fantasy writers some dues ex machina dragon-stuff. But in a murder mystery, there is no trickery. Either the whodunit makes sense, in just the right combination of surprise and “aha!” or…it doesn’t. My first novel, Sundiver, was a science fiction murder mystery. I kept at it and at it till the sucker worked. JEANI: How do you feel about the trend towards e-books? DAVID: Bring it on. Adapt or die. JEANI: Do you have any additional tips for up-and-coming writers who have not yet made it to your level of success? DAVID: Write. Love writing. Love stories. Love a civilization that gives you plenty to read and the food and comfort to accompany it all. Be competitive. Seek and relish criticism. Have patience but never stop burning. Burn like a flame. An inferno. 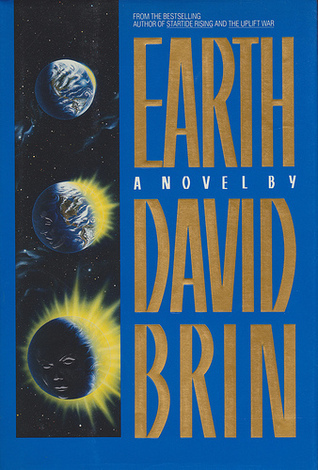 His 1989 ecological thriller, Earth, foreshadowed global warming, cyberwarfare and near-future trends such as the World Wide Web. A 1998 movie, directed by Kevin Costner, was loosely based on The Postman. Brin serves on advisory committees dealing with subjects as diverse as national defense and homeland security, astronomy and space exploration, SETI and nanotechnology, future/prediction and philanthropy. His non-fiction book The Transparent Society: Will Technology Force Us to Choose Between Freedom and Privacy? deals with secrecy in the modern world. It won the Freedom of Speech Prize from the American Library Association. 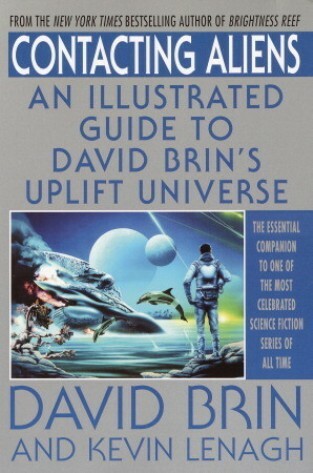 Brin's scientific work covers an eclectic range of topics, from astronautics, astronomy, and optics to alternative dispute resolution and the role of neoteny in human evolution. His Ph.D in Physics from UCSD - the University of California at San Diego (the lab of nobelist Hannes Alfven) - followed a masters in optics and an undergraduate degree in astrophysics from Caltech. 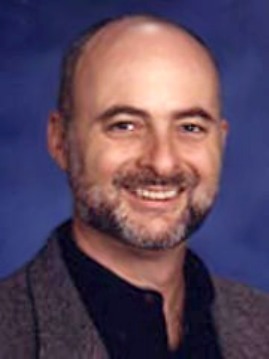 He was a postdoctoral fellow at the California Space Institute and the Jet Propulsion Laboratory. His patents directly confront some of the faults of old-fashioned screen-based interaction, aiming to improve the way human beings converse online.